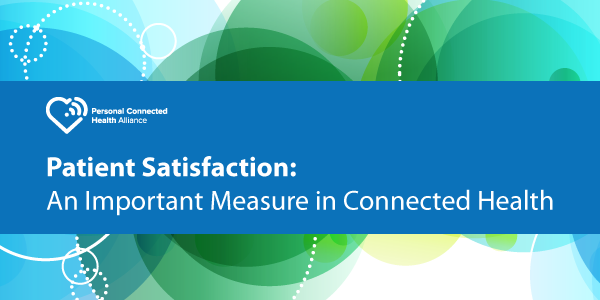 Personal Connected Health Alliance developed a white paper to explore the importance that patient satisfaction plays within facilitating healthcare. Read the full paper below. Patient satisfaction is an important healthcare outcome as a goal of patient-centered care, in the same way customer satisfaction is an important measure of success in retail. The achievement of patient satisfaction in healthcare may facilitate meaningful improvements in outcomes by creating opportunities for engagement. Connected health aims to put patients at the center of care delivery and engage them with providers, coaches, personalized education and feedback to support better health and an improved healthcare experience. With a mission to make health and wellness an effortless part of daily life through the use of personal health technologies, the HIMSS Personal Connected Health Alliance promotes satisfaction as a significant measurement in connected care delivery, and supports its adoption by providers, technology vendors and payers, whose ‘end users’ — or customers — are patients.